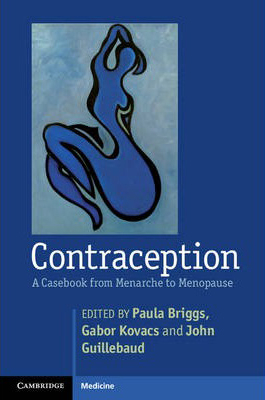 Contraception : A Casebook From Menarche To Menopause - ubiq bookshop: the best place to buy books! Planned parenthood - and its associated reproductive and sexual healthcare issues - has massive socioeconomic and demographic consequences worldwide. Modern contraception played a major role in the emancipation of women and has huge potential for a sustainable future world population. Yet it is a medical topic which always raises controversy, with serious ethical, religious and cultural overtones. This is an authoritative guide for all those working in reproductive healthcare. Highly practical, evidence-based, with enough detail to inform effective clinical practice, the book is structured on a life stage approach, mirroring everyday experience of practitioners. All forms of contraceptives are covered in detail, with guidance on prescribing, the advantages and disadvantages of various techniques, and possible complications. The wider field of reproductive healthcare including subfertility and sexual assault are also covered. Featured in the November 2013 Mostly Medical Newsletter EtcTo receive this newsletter regularly please email us with your name and contact details.